Amazon Photos App Data & Review - Photo & Video - Apps Rankings! Amazon Prime members have unlimited photo storage + 5 GB video storage. 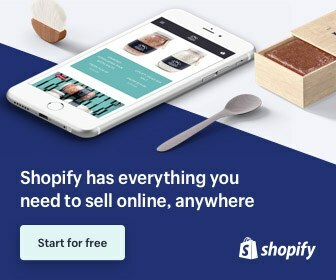 They can also share their storage with five others by adding them to their Family Vault, and search for photos by keyword, location, or the name of the person in the photo. Collaborate and share photos and albums with your friends and family by inviting them to a private, invitation-only Amazon Photos Group. 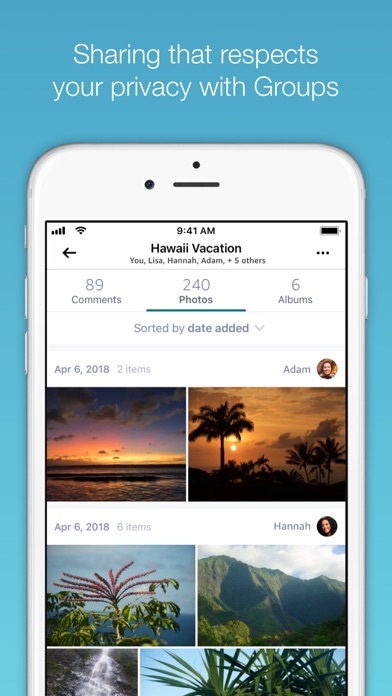 You can pool everyone’s photos together from your latest family vacation, soccer team season, birthday party, friend’s wedding, or knitting club--or just share goofy photos with a collection of your favorite people. 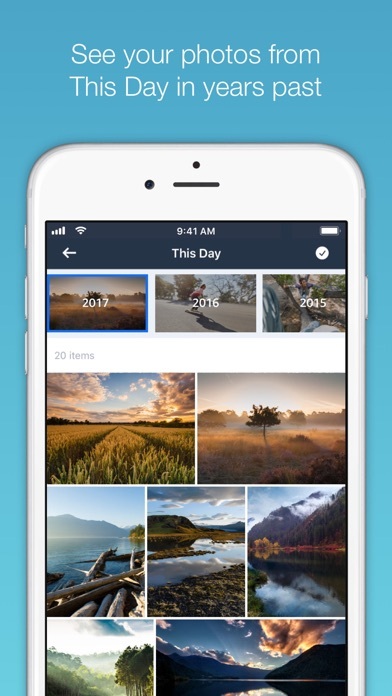 - Auto-save photos for easy backup and to free up memory on your phone. 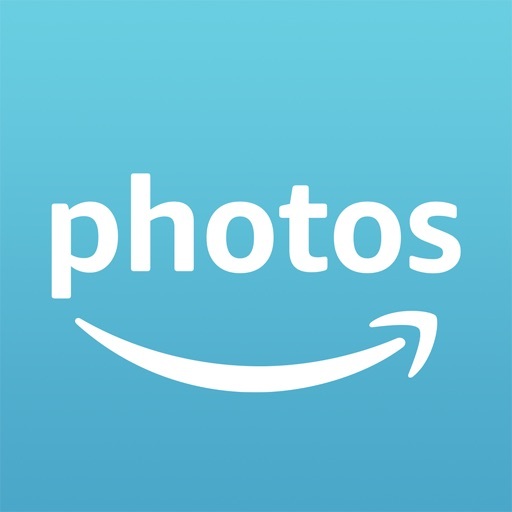 The applications Amazon Photos was published in the category Photo & Video on 2013-05-09 and was developed by AMZN Mobile LLC. The file size is 171.10 MB. The current version is 6.1.0 and works well on 10.0 and high ios versions. - Upload photos and videos using mobile data. 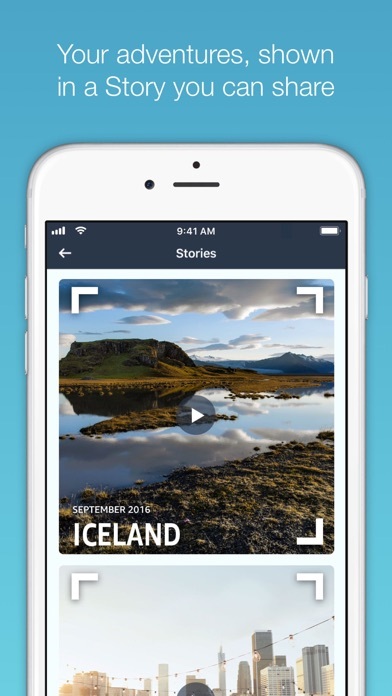 - Faster loading of photos and Live Photos. - New blur wrap style available for canvas prints. 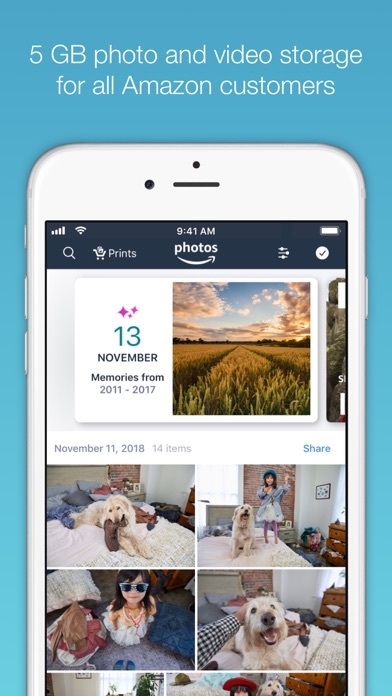 Tell a friend about full-resolution photo and video storage with Amazon Photos. 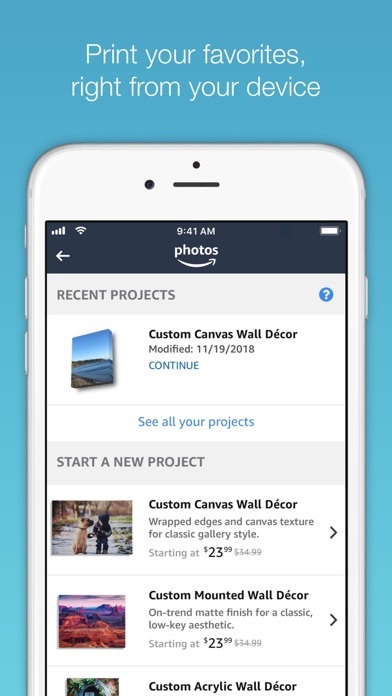 Do you like Amazon Photos applications? Please share! It’s ok, but no where near as robust as the Flickr app. When scrolling through albums with 2000-3000 photos it’s Keep refreshing whilst scrolling and loading photos erratically and randomly taking you back to the start. My cache is set to 2gb and that makes no difference. Fix this and I would give it five stars. Unlimited photo only for US!!!! I wish it auto uploaded when the app was closed via iOS settings or something though. Otherwise it’s really good. Unlimited photo storage is included with prime in the US- why isn’t it in Australia? States that Prime members get unlimited storage, untrue as previously pointed out. Australian Prime subscribers get the default non prime 5GB storage, does anyone in Amazon actually consider how Aussies would view having a reduced set of benefits (-despite the current reduced cost), not to mention the time we waste installing the app and kicking off a very slow upload process only to hit an unexpected 5GB limit...grr. Took 20 minutes on a call to Amazon before your support were able to clarify the issue, says quite a lot about how this market is viewed (-very sad after so many years of great Amazon service and benefits in the UK). Time to cancel my Prime subscription. I wanted a safe ap to back up my photos. It does that and a bit more. Well priced. Good, reliable company. Not as many features as other apps, but a solid offering with good storage options at very competitive rates. So great to back up photos and make room on your phone! Love it!